On arrival at Auckland we stayed at Aspen House B & B which has an ideal location 10 minutes walk from the Skytower in the centre of Auckland yet on a quiet backstreet. We arrived on the afternoon of Friday 14 January. We spent the afternoon trying to stay awake to combat jetlag and unpacking the bikes and putting them back together. The next day we spent a good part of the morning sorting out the bike boxes and posting them to our accommodation in Christchurch ready for our return. 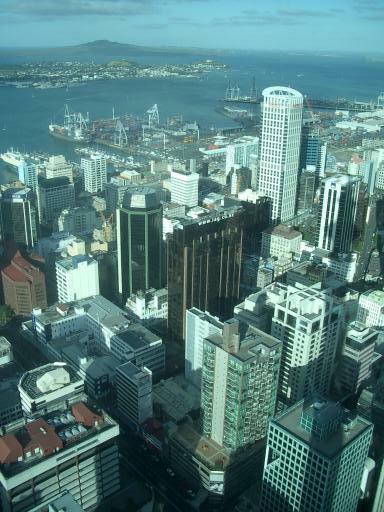 We packed a lot into the afternoon with visits to the harbour front and taking in the views from the top of the Skytower. On the evening of Wednesday 12 January we arrived at Santiago airport and a couple of porters immediately grabbed the luggage and bikes and loaded them on trolleys and wheeled them to the checkin. When we entered the terminal building an official spotted the bike boxes and they were taken off to be weighed. When we handed in our tickets a rather bemused looking Lanchile checkin lady asked why did we want to fly to Auckland and then Sydney and then back to Auckland. I explained that when we booked the flights last April Lanchile only allocated a small number of seats for round the world tickets from Santiago to Auckland which were all booked. The only way to do it was to book on the Santiago Sydney flight which had more seats allocated (although it is the same as the Auckland flight as it stops there en-route to Sydney) and then get another flight Sydney to Auckland.We explained that if we got off at Auckland the first time there we would be treated as a no-show for the Sydney - Auckland flight and the rest of our round the world ticket would be automatically cancelled. The checkin lady was by now way out of her depth and called in her supervisor. There followed about half an hour of confusion but eventually we were sorted out and checked in. The flight to Auckland (first time round) lasted 13 hours. On the flight there was a large choice of movies and I chose "Terminal" about a passenger stranded by beaucracy in an airport transit area for 6 months. Could the same sort of thing cause 3 passengers and their bicycles to be stranded in a repeating loop to and fro across the Tasman Sea? The night was much longer than usual as we almost kept pace with the sunrise sweeping behind us. 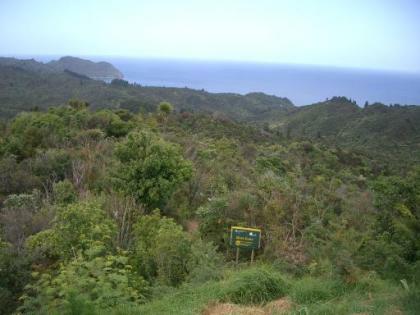 Then just before reaching New Zealand at 10.30 am Santiago time and 2.00 am New Zealand time we crossed the International Dateline and Thursday disappeared down a counterclockwise sinkhole and turned into Friday. 3 hours we arrived at Sydney with 2 hours to change to a Quantas plane back to Auckland. Martin and I had several minutes of panic because we had left our watches on Auckland time which is 2 hours ahead of Australia and saw our flight on the board apparently overdue to leave and at the same time a last call was announced for a Quantas flight to Auckland which as it turned out was leaving 2 hours before ours. We were put right after rushing through the transit lounge to the gate. 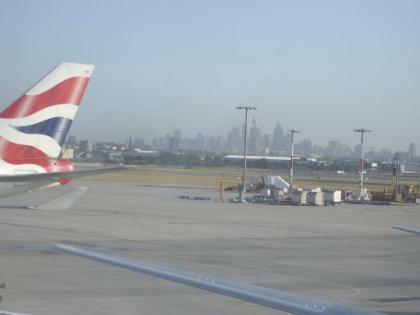 After looking out of the transit lounge window at the Sydney skyline we boarded our plane for the 3 hour flight back to Auckland arriving 2pm. 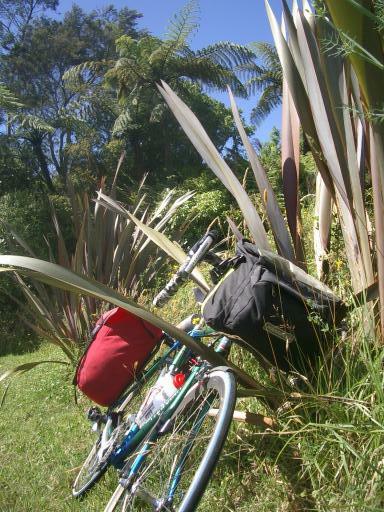 We collected luggage and bikes (undamaged this time) and put the bikes in a pre-booked minibus and trailer to take us to our accommodation in downtown Auckland. These are some notes on our trip to assist future travellers to Chile especially with bicycles. 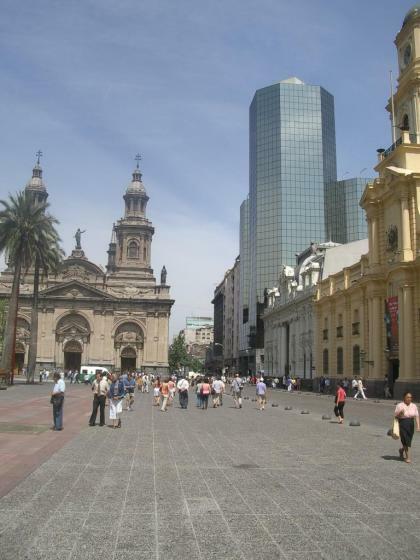 I found it difficult to avoid staying in a Santiago City Centre hotel if pre-booking. I was not able to find any hotels near the airport. This then brings up the problem of getting through 15 miles of very busy traffic when even the locals find it too dangerous and use the pavement/sidewalk. Note also that there are no decent Santiago Street Maps obtainable in advance. I would recommend using the Airport minibus services which run direct to any City Hotel and will take bikes in bike boxes. Cost for exclusive use of a minibus is 12,000 pesos (about US	$22) and less if shared. At Santiago International Airport there are desks in the baggage claim area before going through customs for the 2 firms , TUR and Transvip. We stayed while in Santiago at the Hotel Orly in the Providencia region of the City. This hotel has justifiably good write-ups in guidebooks. The staff were very helpful despite having to cope with bike boxes and bikes with limited storage space. The included buffet breakfast is excellent. While in Los Andes for the Mendoza Pass route we stayed at the Hotel Plaza in the centre of Los Andes. Although the rooms had no air-conditioning the hotel was in other respects ideal. The hotel has a motel type of layout surrounding a central courtyard and parking area. This means there is no noise from the street while the hotel is in the middle of town. Bikes were allowed in the rooms and a small swimming pool is available. were of inadequate scale.Roads were tarmaced but of poor quality with networks of cracks. 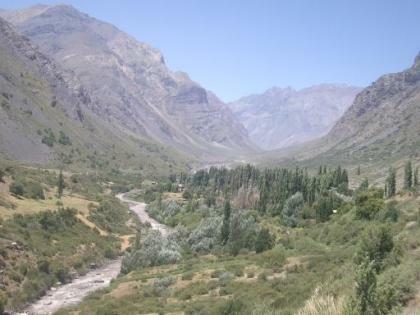 The route from Los Andes to Mendoza in Argentina is seriously spectacular and worth cycling. If doing an up and back route like we did bear in mind that the border control is a mile beyond the centre of Portillo and about 6 miles short of where the real border is at the tunnel at the top. However for the purpose of all border formalities you are treated as leaving Chile and entering Argentina if you pass the border control at Portillo. For anybody going through to Argentina the long tunnel at the top is closed to cyclists so either a lift will need to be hitched from a pickup or other internet reports indicate the border guards may assist. Today we are due to fly out of Santiago for Auckland at 11.25pm. With the bikes to pack and to make the most of our remaining time in Chile we decided to book an organised half day City Tour of Santiago. This is through a travel firm associated with the hotel. With nobody else taking the same Tour we had a minibus and 2 guides to ourselves. The tour takes in all the main sights of the City Centre with highlights including a hill with 360 views and visits to the Stock Exchange and former Presidential Palace. In the afternoon we packed the bikes back in their boxes ready for the minibus to take us to the airport. We booked this with local Airport transfer company TUR and the cost for exclusive use of the minibus for a 15 mile journey for the 3 of us was 12000 pesos which equals 12 pounds. Today's ride was up a scenic dead -end road among the high peaks of the Andes to the south east of Santiago. We decided to avoid 20 miles of urban sprawl and dangerous fast moving duel carriageway by again hiring a minibus and strapping the bikes to the roofrack. Cost worked out at about 15 pounds each for a return ride out of the urban area to San Jose Maipo at the start of the valley. The day was again cloudless blue skies with temperatures rising to 32c. With sharp granite cliffs rising above us striated by ancient glaciers as they retreated. After 5 miles Peter decide to make his own way as he did not plan to go as far. Martin and I continued to the end of the tarmac and then on an unmade road in more remote countryside with Andean peaks rising above us. We continued for another 8 miles to the remote village of El Volcan before heading back for the prearranged pickup. We rode 38 miles for the day with 2080 feet of climbing to a maximum height of 4566 feet. 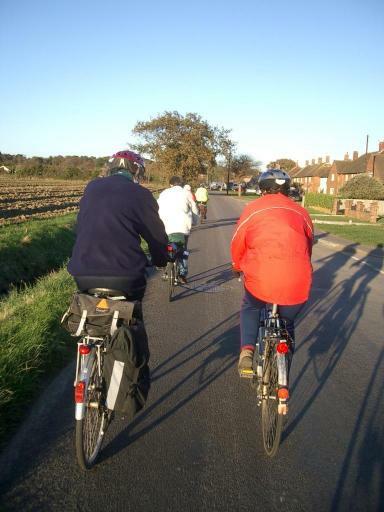 Peter got as far as the end of the tarmac road and the first 100 yards of the rough track before turning back. Today was a day-ride from our base at Los Andes in the foothills of the Andes to Portillo a ski resort among the high peaks. The road we took was the main International Highway from Chile to Argentina. Traffic was probably lighter than normal being a Sunday and amounted to about half of the traffic on a south of England B road, but with more lorries. The ride started with a faily gentle route up through the valley. We all three stayed together at this stage but as Peter had decided not to go all the way up we split up after about ten miles, and Martin and I continued towards the top. We left at about 8 am to get some of the ride in before the heat built up. We enjoyed a beautiful cloudless day with temperatures of 32C in the valley but cooling a little as we climbed. Early in the ride rhe road ran alongside the raging torrent of the Rio Aconcagua bringing melt water down from the glaciers of the high peaks. Strung over the river at intervals were rope bridges used by the locals to get to their houses on the other side of the river. The total length of the climb was 40 miles and after the half way stage at Rio Blanco the gradient increased from an average of about 4% to nearer 7% increasing to 12% in places. We were both using the Cyclo bike computer which gives altitude and gradient in addition to the usual read-outs. As we climbed the peaks rising above us became higher with jagged edges to the granite rock outlined against the crystal clear blue sky. We had carried lunch with us and stopped at the road side under a by now infrequent patch of shade. We continued to climb leaving behind us the last town. As the heat rose in the afternoon a welcome sight was a small cafe at the roadside selling cold drinks. Shortly after this there came into our sight a shear rock wall with a multitude of hairpin bends carrying the road up to the top. We climbed the hairpins alongside buses and lorries which were straining their engines with the gradient. As we climbed higher we could look down on the hairpin bends closely packed below us. For this rock wall there were 19 numbered hairpin bends. After a short plateau another rock wall rose above us with more hairpin bends. Eventually we reached the town of Portillo which is a ski resort and has a beautiful view of an azure blue lake surrounded by snow capped granite peaks. 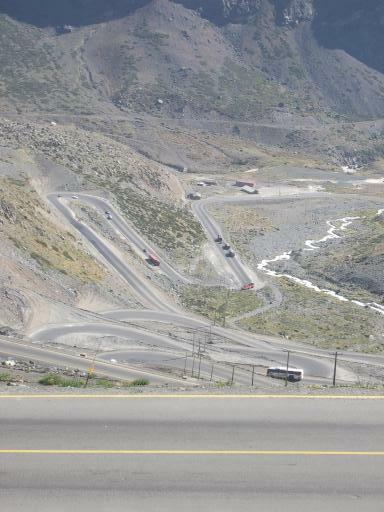 The border control between Chile and Argentina was located soon after the town and we ended our climb there. We started from a height of 2700 feet and reached a height of 9380 feet at the Border Control. We rode back down enjoying the hairpin bends and overtaking some lorries as we did so. The temperature at the top at 5.30 pm was still as high as 20C. As we rode down the heat built up more and more as we came into the valley. We got back to base at 8.30pm to complete an 80 mile ride with 7090 feet of climbing. Peter had completed about half the distance turning back soon after the town of Rio Blanco. Peter managed to find the hotel and was back at 7.30 and asleep when the leaders arrived. Today was a wind-down day with a 17 mile ride on local roads in the valley. We visited a nearby Sanctuary and had our elevenses stop there with deliciously cold ice creams. After lunch in Los Andes we and the bikes were collected by the pre-arranged mini bus to take us back to Santiago. Because my mobile device will not work on the frequences in Chile, pictures will be added when we reach New Zealand. Flights all went fine. We took off on Thursday the 6 th January at 10 pm. On the 7th January we landed in three countries in South America. The first leg of the flight was to Buenos Aires in Argentina with a stop for 50 minutes in Sao Paulo in Brazil. This leg of the flight lasted for 16 hours. We changed planes in Buenos Aires and then flew across Argentina and the Andes to Santiago in Chile. On arrival we put the bikes on a local mini-bus service to the city centre. We arrived mid-day and after settling into the hotel, we had to spend some time in the afternoon sorting out the damage to my bike. The damage was not too serious with a broken front mudguard which could be fixed with zip-ties and tape, but the damage to my front brake involved a missing nut securing the straddle cable. Finding the right nut involved a very fast and interesting taxi ride through busy city traffic to a bike shop. Because of the busy Santiago traffic and concerns about the tunnel on route to our next destination of Los Andes we decided to take a mini-bus for the bikes and ourselves. This was arranged through our hotel receptionist knowing a friendly local mini-bus driver. On arrival at Los Andes we took a short local ride along the valley including some lanes but navigation proved difficult at times due to the inadequate scale of my map. 31 miles was covered and 800 feet of climbing. Temperature today was 33C with unbroken sunshine. Tomorrow we tackel the 40 mile climb of the pass over the Andes to the Argentine border at 3100 metres. This will be an out and back ride. Sorry no pictures while in Chile as my device is a dual band and North and South America require tri-band. 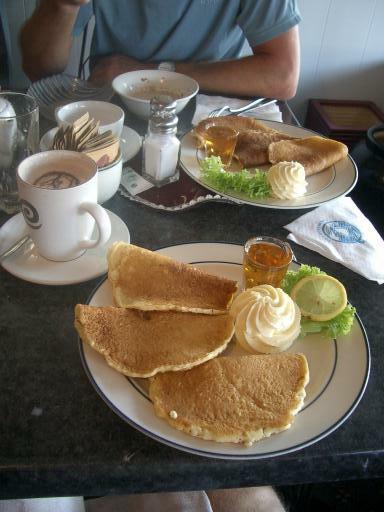 I will add some pictures on Chile when we get to New Zealand. Below is the draft Itinerary for the trip sent out to the group. Thur 6 Jan	Depart Heathrow 20:50 arrive Buenos Aires 09:20 7 January. 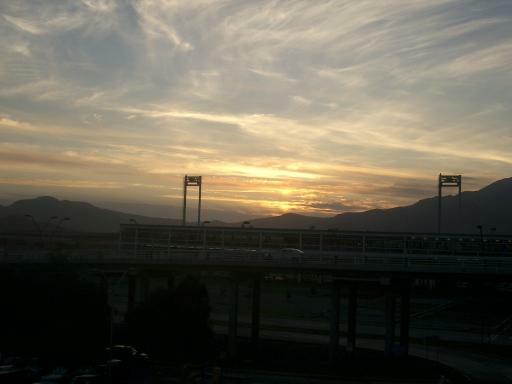 Fri 7 Jan	Depart Buenos Aires 11:40 arrive Santiago 12:55. Taxis and van to take bikes and boxes to hotel. Details not yet confirmed. 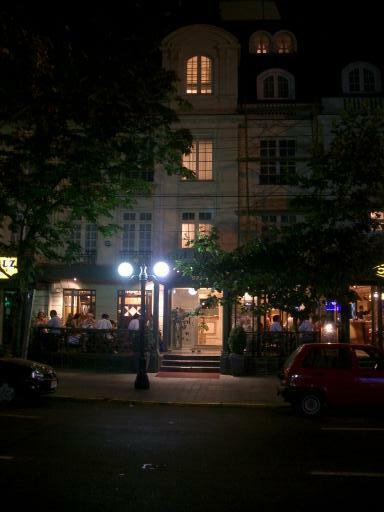 Stay overnight at Hotel Orly , Pedro de Valdeva, Providencia Santiago. to date. Provisionally at Hotel Plaza, Los Andes. as far as we feel up to but possibly as far as the tunnel which marks the top just before the border at 3185 metres. 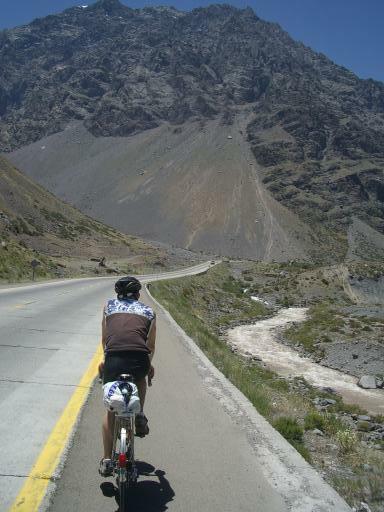 Then ride back down to Los Andes (88 miles). Tues 11 Jan	Santiago - Rest Day. Out and back ride into the Andes South West of Santiago or if you prefer have a look round Santiago. from Quality Cabs which is booked. 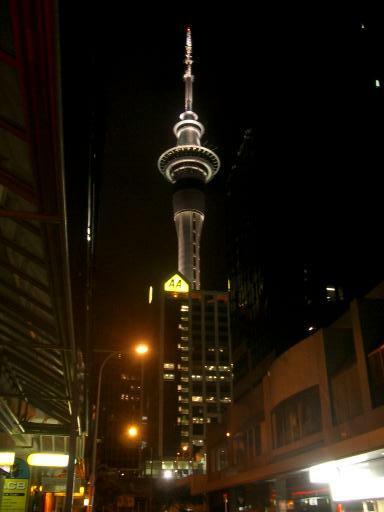 Stay overnight Aspen House, 62 Emily Place, Downtown Auckland New Zealand. 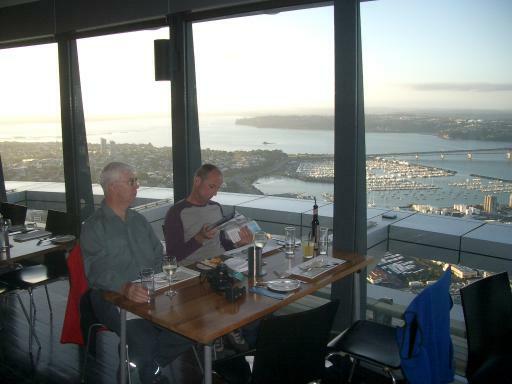 Sun 16 Jan	Auckland - Rest Day More time to explore the City and the surrounding harbours. 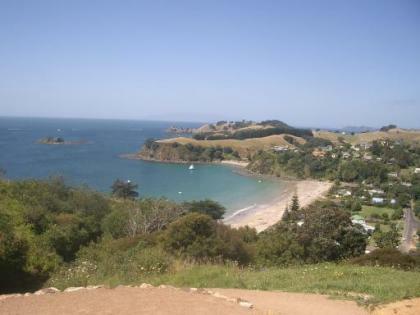 Tues 18 Jan	Thames - Coromandel (55 miles) Stay at Coromandel Court Motel, 365 Kapanga Road, Coromandel Town, New Zealand. Wed 19 Jan Coromandel - Rest Day Take in local beach. 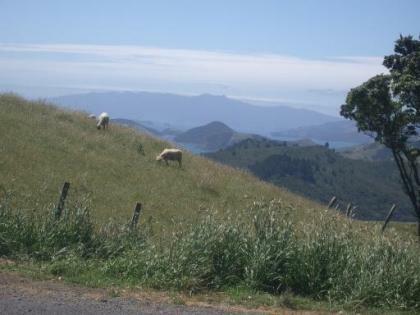 Take a scenic loop road further up the peninsular.Accommodation as above at Coromandel Court Motel. Head round the northern bays of the peninsular and then down the east coast. 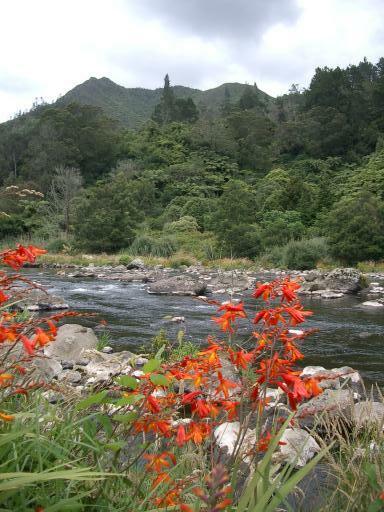 A range of hills to the Tasman Bay coast and down to Nelson.Stay at Trafalgar Lodge, 46 Trafalgar Street, Nelson. Head south in scenic and remote countryside. Stay at Murchison Motels, 53 Fairfax Street, Murchison. 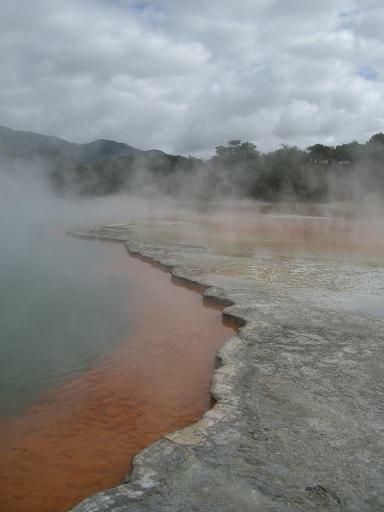 Sat 29 Jan	Maruia Springs to Hanmer Springs (65 miles) A short climb up to Lewis Pass and then an undulating descent to Hanmer Springs which is another hot springs Resort.Stay at Hanmer Resort Motel, 7 Cheltenham Street Hanmer Springs. 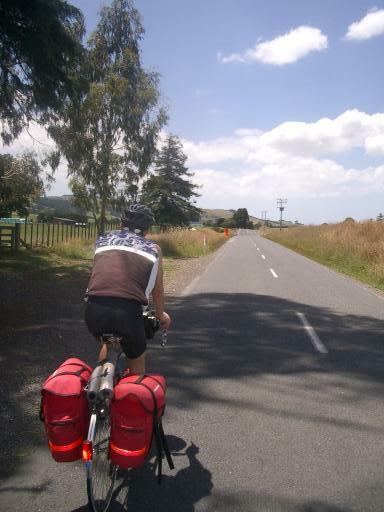 Sun 30 Jan	Hanmer Springs - Christchurch (74 miles) Fairly flat all downhill route to Christchurch. Christchurch. Stay overnight at Hulmes Court Bed and Breakfast, 52 Tennyson Street, Dunedin. Accommodation as before NOTE The Rest Day is switched from Christchurch to Dunedin to give a spare day in case of any problems with the buses. Also we have a day in Christchurch at the end of the trip. In Dunedin visit Baldwin Street the steepest street in the world at 38% gradient. 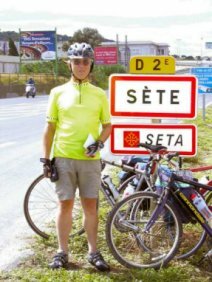 Thur 3 Feb	Beaumont to Alexandra (50 miles) Head on up a valley among the Alps. Stay at Alexandra Avenue Motel, 117-119 Centennial Avenue, Alexandra. 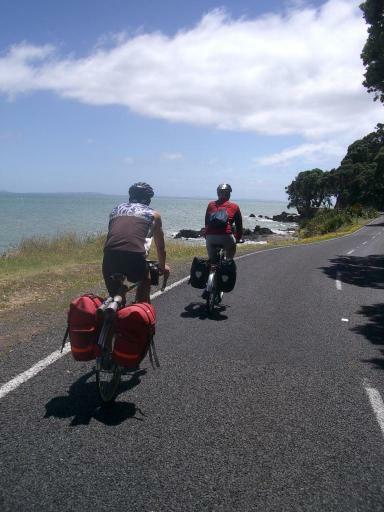 Fri 4 Feb	Alexandra to Queenstown (60 miles)Head on across a scenic barren area in the rain shadow of the Southern Alps. Stay overnight at Four Seasons Motel, 12 Stanley Street, Queenstown. 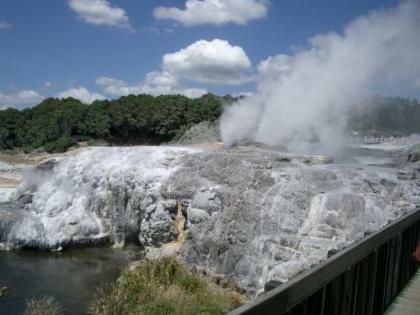 This is a place with 1001 activities from Bungi jumping to scenic flights over Lord of the Rings film locations. Take a steam ferry across Lake Wakatipu and then 51 miles Remote countryside rough stuff route. Then 20 miles on road. Tues 8 Feb	Te Anau to Tuatapere (62 miles) Scenic route south alongside Lake Manapouri and then A minor road down to the south coast. Stay at Waiau Hotel, 49 Main Street Tuatapere. 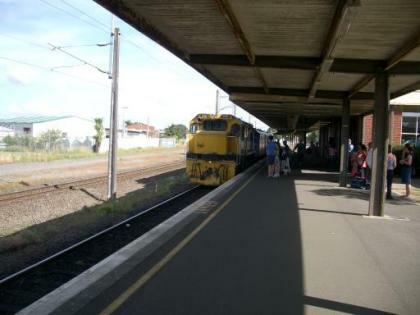 Railway Station at 2:30 pm arrive Ashburton 7:00pm. areas of the Southern Alps within sight of Mount Cooke. Stay overnight at Ashburton at Best Western Coronation Park, 80 East Street, Ashburton. 12 Feb - Taxi booked to the airport to take Peter and his bike. Follow roads along the foothills of the southern Alpsand then roads west again up the valley of the River Rakaia to stay at Lake Coleridge. Stay at Lake Coleridge Lodge, Lake Coleridge. Pass just before Porters Pass at 945 meters.Then a long descent via Springfield to Christchurch. 11 March Edwin flys to London, arrives 12 March. 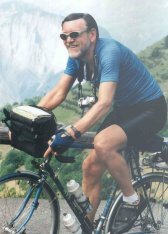 This blog will be a diary with pictures of a Cycle Tour using Round the World Flight Tickets to visit Chile and the Andes, New Zealand North and South Islands, Australia and Singapore. The Tour starts on 6 January 2005. Those who will take part in the Tour are Edwin Jones and 2 cycling club mates Martin Greening and Peter Wilson. Pictures of the Tour participants are below.